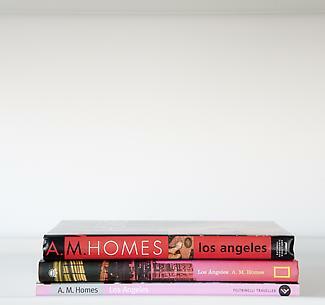 In Los Angeles, the New York-based novelist and short-story writer A.M. Homes checks us into the famed hotel Chateau Marmont and uses life at this iconic landmark as a multifaceted prism through which she views and experiences Los Angeles culture, past and present. Built in the 1920s, the Chateau Marmont is where the famous and infamous have always come to stay—some for a few days, others for months at a time—and sometimes, like John Belushi, to die. It is a mythological mecca, the focal point for a city of visionaries, romantics, and dreamers. 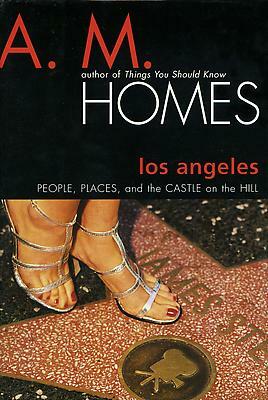 And it is the site where Homes, as she mines the strange heart of Los Angeles, shows herself to be an uncommonly nimble and entertaining cultural anthropologist. 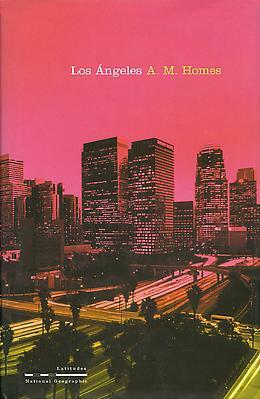 The problem with Los Angeles is that it's not in New York. I am a traveler of the mind but not the body. For ten years I didn't fly. I remained flatfooted, earthbound, as though made of cement, as though flying was the most unnatural thing in the world. The fear came over me suddenly in mid-flight on a trip from Chicago to Washington, D.C. It was night, the plane was on a steady course, the engines droned evenly, and, without warning, I became terrified. I looked out the window into the black velvet night and was convinced the plane was about to crash into a mountain. As a novelist, in order to write I must first see something in my mind's eye, and in my mind's eye I could see the mountain, I could feel it and I wanted to do something, summon the flight attendant, take evasive action. I glanced around the plane; no one else seemed to be having this thought. Everyone was perfectly calm. I said nothing. The plane continued on and landed safely. But my love affair with travel abruptly ended. Something in me had turned, and for ten years I would not fly. I said no to everything that required getting on a plane—would you like to give a reading in Rome—No. On book tours, I took the train the whole way around the country. I drove enormous distances. I bonded with numerous members of the large and mostly anonymous club of those who would not leave the Earth's surface. But secretly I longed for space. There is a romance to flight, to the image of the aviator as explorer. It is perhaps one of man's strongest impulses to try and free himself from the laws of nature, to defy gravity. We live in a global culture where time and space are compressed, where people commute coast to coast like the Jetsons. It is not unusual for an American to go to London for a single meeting and then turn around and whisk oneself home. Compelled by ambition and desire—we want everything faster and want it now. And yet it is not entirely natural to climb into an airplane, a souped-up tin can with two hundred and fifty strangers, propel thirty odd thousand feet in the air and push onward at speeds over five hundred miles an hour. Fear of flying is a distinctly modern condition; the repository for abstract anxieties, a magnet for free radicals of stress, determined to cling to something, to bind. My fear is simple, I am afraid of the plane crashing—more specifically, I am afraid of extreme consciousness, of those final minutes or seconds, knowing this is it. The core fear is primal—a fear of death—but what is one really afraid of when one is afraid of flying. For many people it is claustrophobia, while for others it's a control issue. Flying is not like being in a car or on a train, where you can get out if you don't like the ride. In someways it's more like being put under general anesthesia; you can't pull yourself out if it, you have to simply give yourself over the experience and hope for the best. What's so beguiling about fear is how deeply personal and irrational it is. Impervious to logic or fact, fear refuses reality. People who are afraid of flying are not comforted by the fact that flying is twenty-one times safer than driving. When you're on the plane, holding your breath, thinking—I can't stand this another minute—the fact that millions and millions of people have traveled safely this year alone is not as comforting as it should be. After ten years of not flying, I didn't feel I'd saved myself from death. Instead I felt as though my world had shrunk, people and places I loved were out of reach. In my mind I went back in time to that flight from Chicago to Washington. For years people had asked me if I'd had a bad flying experience. I'd always said no. Then I had a flash of insight: The bad flying experience had nothing to do with the flight and everything to do with what else was happening in my live at the moment I thought the plane would hit a mountain. But regardless what I now knew, I remained terrified. I decided I would fly again—even if it killed me. I would fly business class because of the extra room, I would fly during the day, and I would medicate myself to take the edge off. Someone suggested a series of tapes created by Dr. R. Reid Wilson, a clinical psychologist in North Carolina—Achieving Comfortable Flight.My favorite is tape three side one: "Associating with the Positive." This is private time, a special time, an opportunity for you to look toward your positive future, to build the kind of support that you desire for your goals in your long and healthy future." Associate with the positive. Begin by telling yourself to forget the hell of making the reservations—twenty-seven minutes on hold, "speaking or touching" my frequent flier number, being disconnected and having to start again from scratch. Amelia Earhart surely didn't have to go through this. At the airport, there are a lot of news trucks outside. "What happened?" I ask the woman at the ticket counter. "We had an incident last night." "Someone tried to bring something onto the plane they shouldn't have—a hazardous substance." "Something gaseous," the woman the ticket counter says. "It's OK, we've had a change of equipment." I nod. At the security check I lift my carry-on to the x-ray belt, step through the metal detector, and then stand still while a woman waves a wand over me—is she scanning me or giving me some sort of electromagnetic blessing? In the lounge, I size up my fellow passengers—there are children clinging to their father's legs, a flight attendant whose mother is on the flight, and two priests. I wonder about the good-luck quotient: Do two priests neutralize the beefy guy with the gold chain? Ten minutes before check-in, I go to the desk and explain that I am a fearful flier and ask if I might board a few minutes early. "Oh," the ticket agent says, "I hate to fly. I used to like it but then I got sick and had to go on medication and I gained all this weight and I haven't been on a plane for two years." He draws a breath. "Go ahead. You can board now." Throughout the plane there is a Zen-like music playing, projections of billowing fields of hay on the movie screen. As the hordes descend, the flight attendant in Coach bellows, "If you can't find a place for it, it goes below," reminding me of Shelly Winters taking charge aboard the sinking ship in The Poseidon Adventure. I look into the Coach section; the seats are like infant car seats or straitjackets. Being seated at the back of the plane with a full Coach section is enough to give anyone an anxiety attack. I buckle up. I play my tape. "This is a private time." I watch the animated film of the emergency evacuation procedures: cartoon people taking off cartoon high heels, sliding down the chute like it's a carnival ride. The flight attendant stands at the front of the cabin gesturing toward the emergency exits, demonstrating the oxygen mask. Takeoff: I feel the pull of the Earth, gravity, resistance. I hold on tight during the clip, the power turn, and when there is a leveling off, a dropping back of the engines, I can't help but think something is wrong—if we're going to have a massive failure, if we're going to suddenly plummet back to Earth, it will happen at this point. But the plane continues the climb, the chimes ring, the FASTEN SEAT BELT sign goes off, and the flight attendant comes over to me. "Are you the fearful flier?" I am embarrassed that perhaps I have gone too far, confessing my phobia to everyone from the reservationist to the baggage handler to the boarding agent. "It was noted in the computer," the flight attendant says. Once we're at cruising altitude I am okay. I wouldn't say that I am relaxed, but I am perfectly until we hit a little turbulence. "What was that?" I ask the flight attendant. "Light chop, the pilot calls it. Par for the course." I am looking out the window, up at the wild blue, at the horizon line, at the Earth below. From the galley comes the smell of freshly baked muffins—in business class they bake cookies and muffins, feeding you every two hours as though you were a newborn. I am falling in love with flying all over again. Below us the Earth is otherworldly, a kind of reddish, craggy clay surface, a lunar landscape, shadows and deep crevices. "Passing over the Grand Canyon," I say to the woman next to me. "Its pretty spectacular from thirty-three thousand feet." "It's not the Grand Canyon," the woman says, just as the pilot's voice comes over the public address system and announces, "For those of you on the right side of the plane, you'll see that we're passing over the Grand Canyon, quiet a sight from thirty-three thousand feet." I hear the Joni Mitchell song, "Amelia," in my head, the line about how, like me, "she had a dream to fly." The sun on the wings, the sparkling perfection of the sky, the true majesty of it, unique, ever changing, wholly original and enormous, the beauty, the mystery of it, dwarfs any fears, as does the drone of the engines, which has a kind of white noise, soporific numbing or muting effect. It is like the sound of a vacuum cleaner, a sound which is hard to be tense above or over. The flight attendant brings the little old lady next to me a kosher meal. "I'm not Jewish," the woman confides. "A friend taught me to order this—it's always fresher." "Would you like some fruit?" she asks. And then we are descending, and the city comes into focus, economies as seen from above. There is the geography, the land and the breakdown of the land into lots. It is every man for himself. There are neighborhoods with sharp metal fences; houses close together with small yards filled with discarded stuff, refrigerators, cars, parts of things. There are palatial spreads with high brick walls, country clubs, shopping centers, and swimming pools, lots of swimming pools: above ground, below ground, circular, kidney shaped, long narrow lanes of water. By the time I arrive in Los Angeles, I am thrilled. I've done what I didn't think I could ever do again. As the plane is landing I'm thinking, I'd like to continue on. I wonder what it would be like to stay suspended for days, to fly around the world, moving from airport to airport, hearing announcements in a dozen languages, noting the constume changes of the travelers, the shifting menu selections, riding the curve of the Earth's surface.